, comprising the analysis and cataloging of a vast treasure trove of songs spanning nearly 100 years, from the well-known to the completely obscure. Any shopping cart purchase from Channel Master’s online store that includes a DVR+ will now ship for free in the U.S. The company has also integrated leading consumer finance service PayPal Credit, formally Bill Me Later, into its online purchase options. 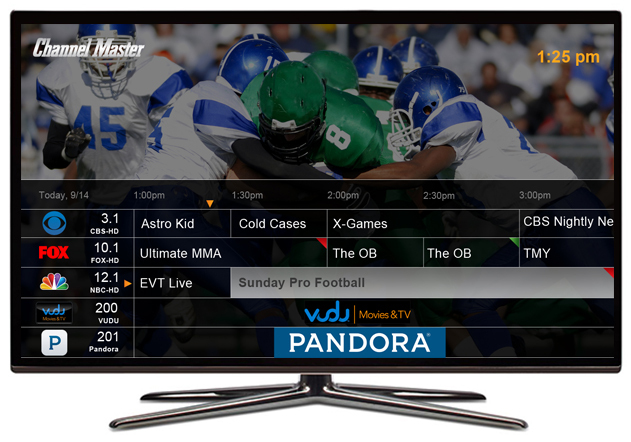 Channel Master introduced the DVR+ in January, a subscription-free DVR for over-the-air broadcast TV that is very similar to the experience of using a cable or satellite DVR. The company continues ongoing development of the powerful DVR+ platform, including additional streaming services and new video features. Channel Master is the industry leader in over-the-air broadcast entertainment products and solutions, providing high quality and value to consumers since 1949. Headquartered in Phoenix, Ariz., the company's products are available through more than 200 distributors and thousands of retail stores worldwide. For additional information please visit www.channelmaster.com.